Are you looking for spring break vacation ideas for a Knoxville staycation? I have heard several people talk about staying home this year instead of traveling. Everyone is feeling the pinch of high gas prices. When my friends talk about staying home instead of going away for spring break vacation, gas prices are the number one reason. Reasons like this make me glad to live in Knoxville. There is no shortage of staycation ideas for this town! We can take advantage of greenways, blueways and parks that are in our front yard. If we want to go a little farther from home the Great Smoky Mountains provide a number of recreation opportunities for a spring break vacation. Getting there takes a little more gas but the cost is offset by a picnic lunch versus eating out. Here are some sample one day itineraries for Knoxville. These locations might not have been on your spring break vacation radar screen. 1. Make it a museum day! In the morning, head over to the Knoxville Museum of Art and peruse the exhibits. (Depending on your level of interest this can take about 1.5 hours!) Eat your picnic lunch at the adjacent World's Fair Park and then head over to the Frank H. McClung Museum on the UT campus. 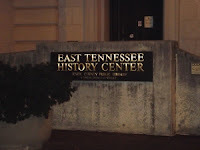 Your spring break vacation staycation is incomplete without seeing the East Tennessee Historical Society downtown at 601 S. Gay Street. Drive home for dinner or try any of the restaurants in Market Square Mall. 2. It's a bird! It's a plane! It's outdoor art. Drive and walk through Knoxville to take a gander at the outdoor art pieces. There are more than you might think. Visit the statues in Market Square Mall and walk over to Krutch Park. Eat your lunch at one of the benches and people watch. The next statute on your spring break vacation might be the Alex Haley Statue in Morningside Park on Dameron Avenue or the Treaty of the Holston Statue in Volunteer Landing Park. Schools are usually out for spring break vacation in April. This coincides nicely with the Dogwood Arts Festival. 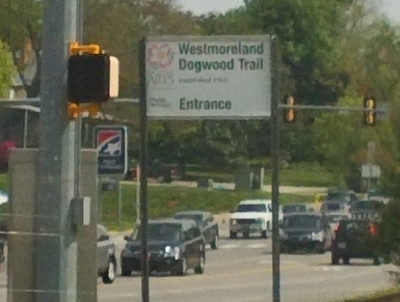 Take a drive along any of the Dogwood Trails in Knoxville. Follow this up with lunch out or a picnic in one of the parks that you find on the route. A full list of trails is online. For these reasons and more, a spring break vacation in Knoxville might be the answer your family is looking for.